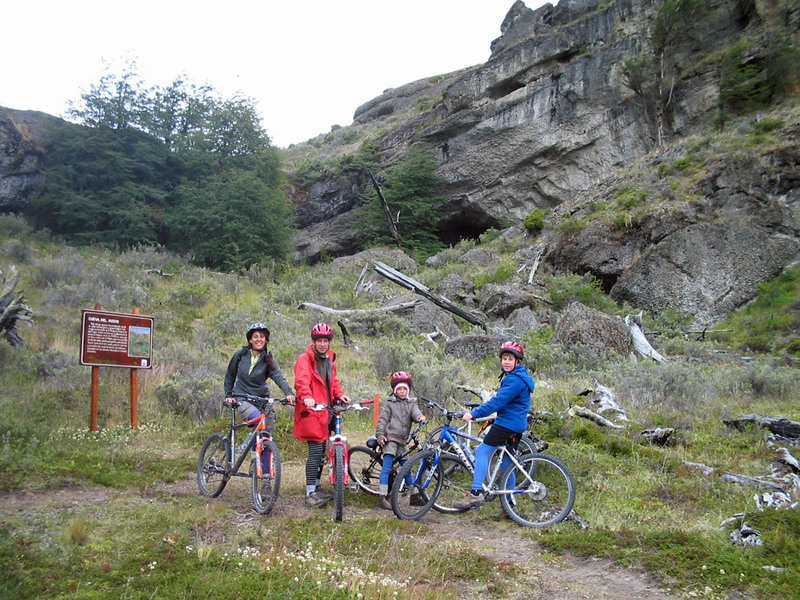 Our 4 hour trip begins in the city of Puerto Natales, in our transport we move 25 km northwest where is the Natural Monument Cueva del Milodón, we equip ourselves to make the circuit of 8 km of trail where we will discover the caves: “Chica” and “La del Medio”, through a beautiful landscape, we will arrive at the “Cueva Grande”, after your visit we will begin our return to Puerto Natales. An incredible journey where we will go back 12,000 years. 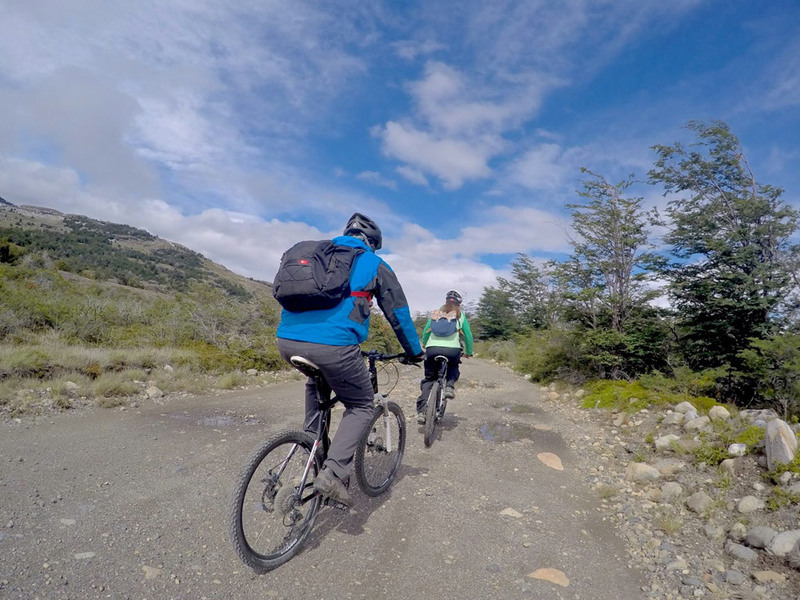 We visit beautil trails inside Puerto Consuelo farmer , charming place just 25 km away of Puerto Natales, we peddling moving along the route of Los Pioneros (The Pioneers), 12 kilometers by cross country trails, bordering the Eberhard Fjord. 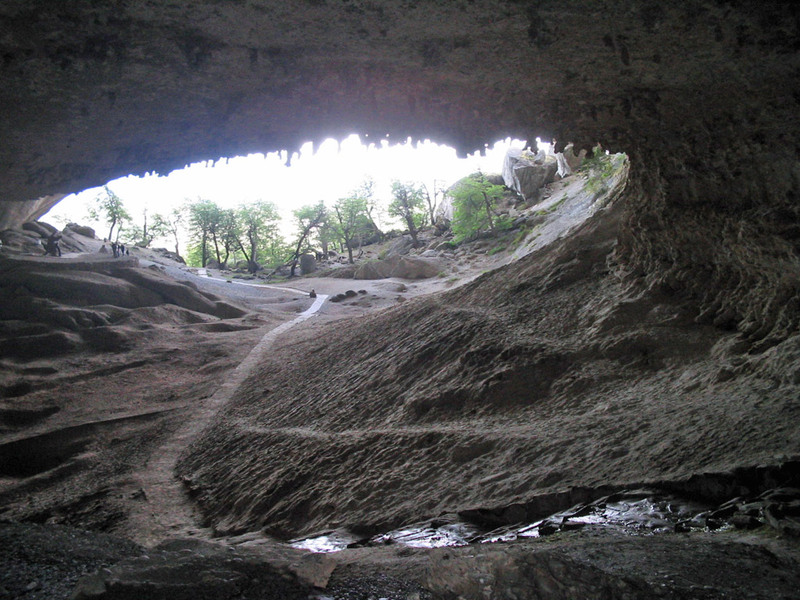 We will visit Cueva del Milodón Natural Monument ant it’s beatiful trails. 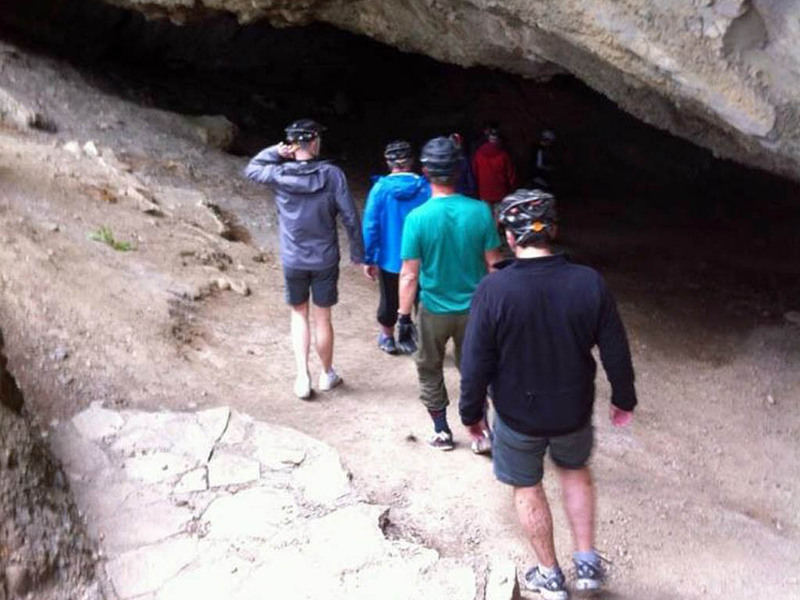 Inside Milodon Cave Natural Monument we will cycle for 8 kilometres along the trails that link the group of caves before visiting the Estancia Arqueológica Rupestre Estancia (Archaeological Cave Paintings) to enjoy a further 12 kilometres of trails pedalling through ancient forests of lenga (beech) whilst bordering the beautiful and large Laguna Sofia. 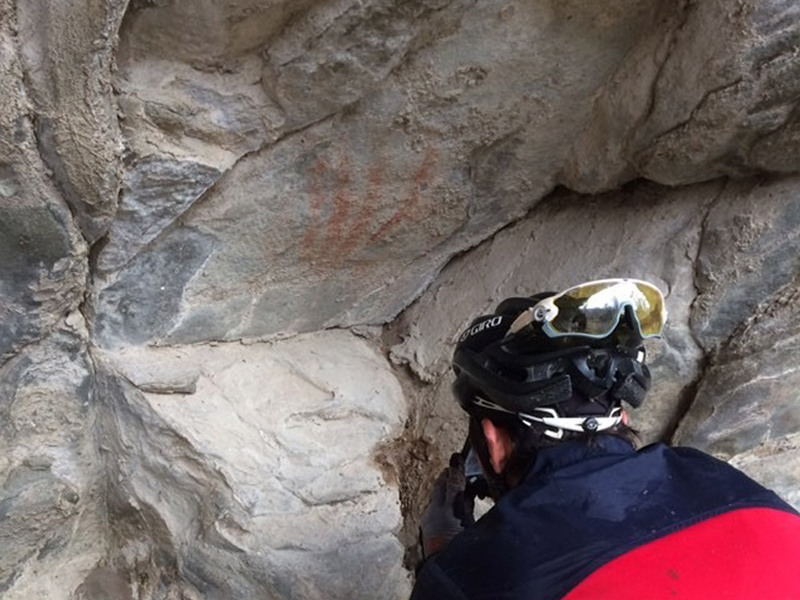 We will be able to see condors and enjoy the flora and fauna of this natural setting. 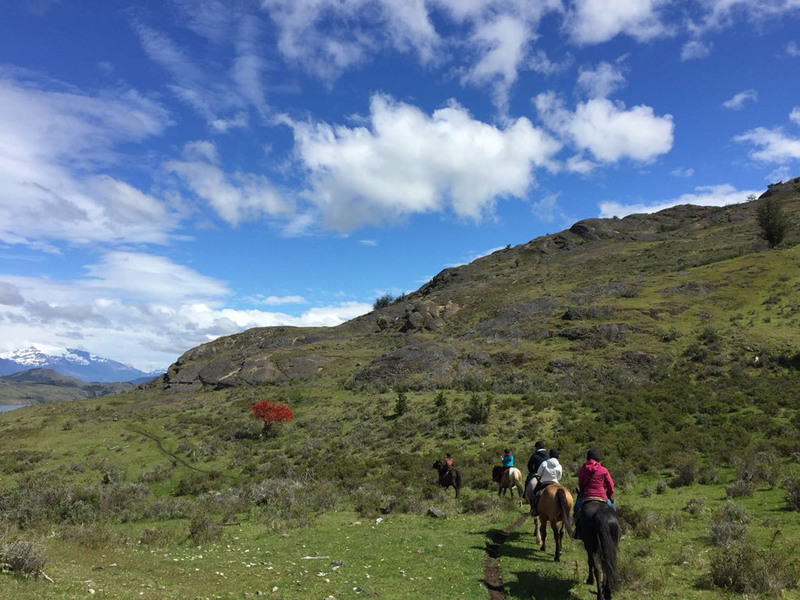 Afterwards we will head to Laguna Sofia and around 3 pm we will begin our 3 hour ride to the lookout of the Sierra Señoret. 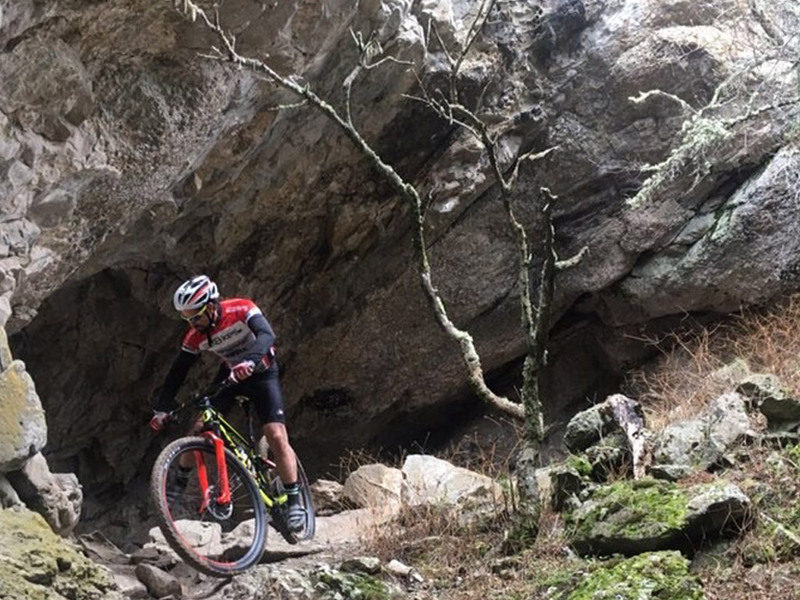 We will ride through forests of lenga (beech) to reach the Condor Lookout where we can observe this majestic bird on their ledges where they nest and teach their young to fly. The lookout offers a unique perspective from on high where we can look down on them flying and truly appreciate them in all their splendour. 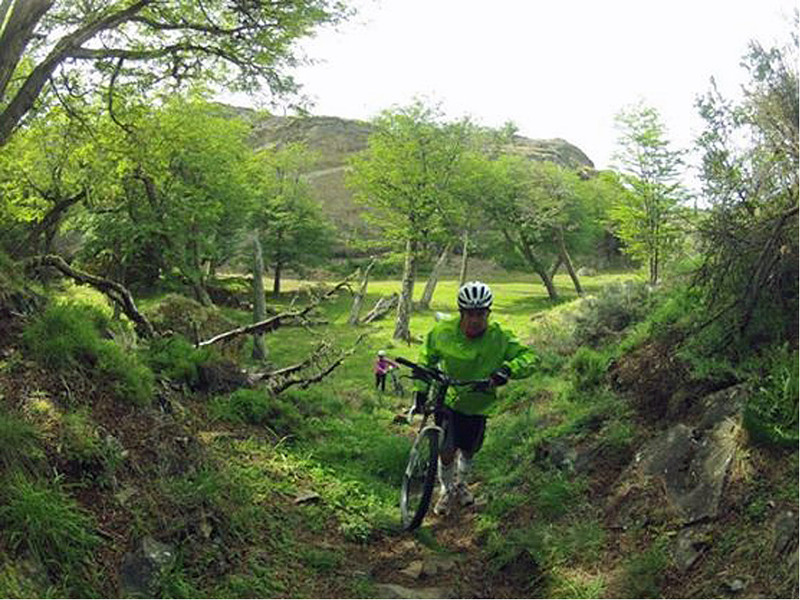 This is a mountain biking trip which combines the beauty of Patagonia with its ancient history. 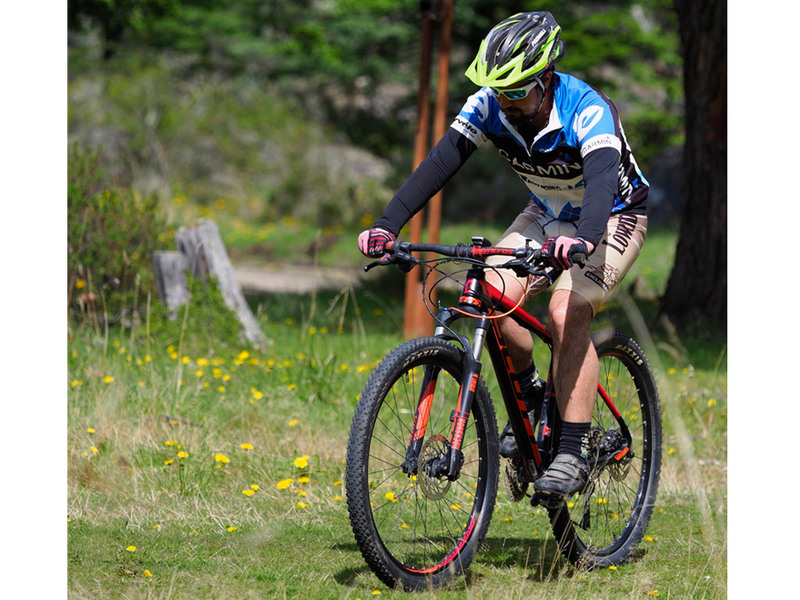 We begin our mountain bike adventure at 8.30 am by picking up our clients from their hotels in Puerto Natales then heading off to our base at the Nash Lodge in the Serrano Village where everyone will receive their bicycles and equipment. 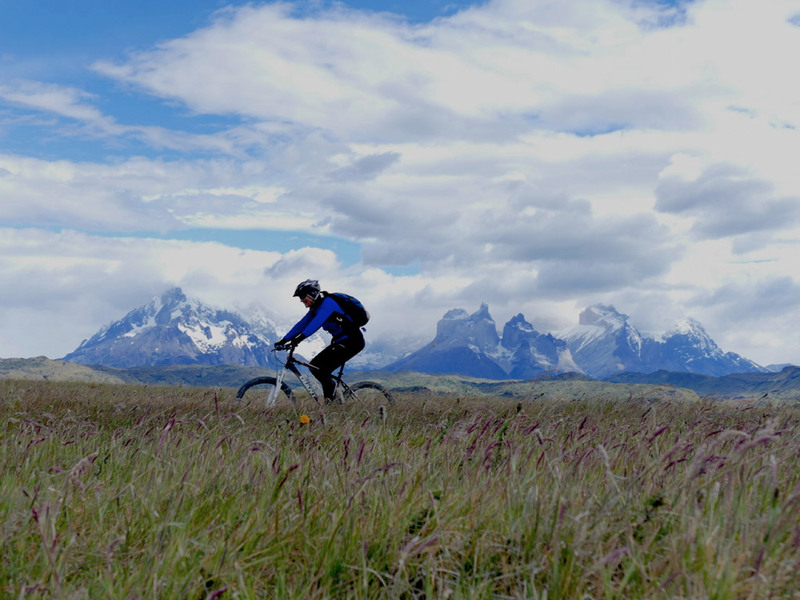 After a safety talk we will set off pedalling alongside the River Serrano on paths and through woods with incredible views of Torres del Paine National Park. 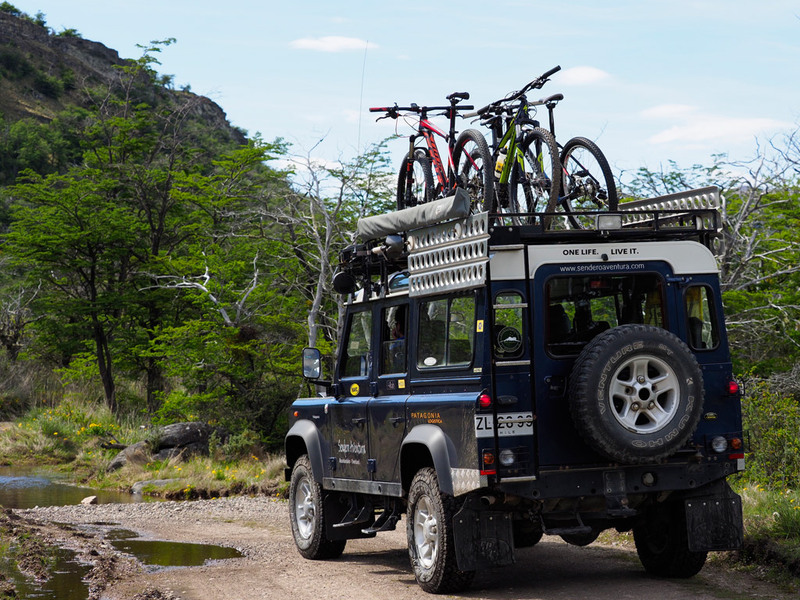 When we reach the waterfall we will have our packed lunch before continuing on along the trails and across the Patagonian pampas next to the mighty Grey River before heading southwards back towards our base with the imposing Paine Massif behind us. 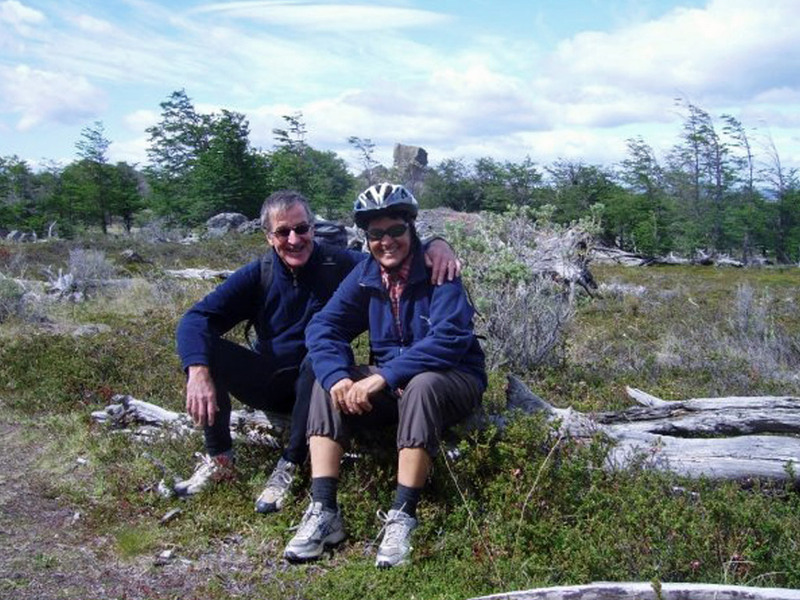 After a revitalizing dinner we will enjoy a good rest in order to continue our adventure the following day. 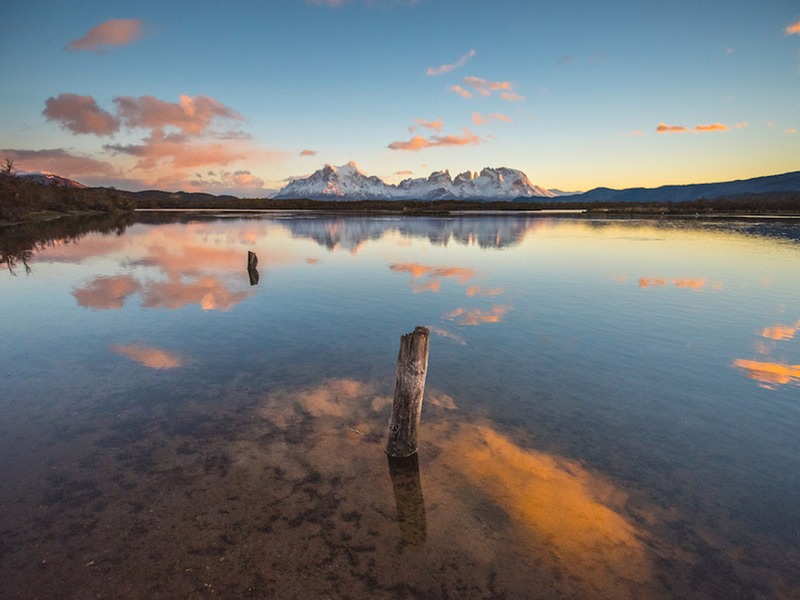 We will enter the Torres del Paine National Park with our vehicle and trailer carrying our kayaks and head to the River Pingo sector. 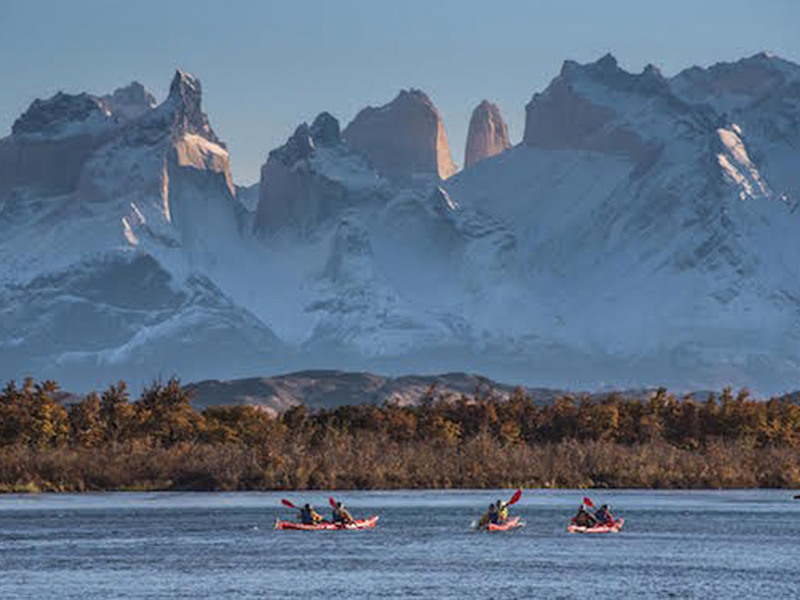 Once our kayaks are in the water we will carefully go with the flow of the current of the Pingo River down to the Lake Grey peninsula where we can see the imposing icebergs that have broken off Grey Glacier. 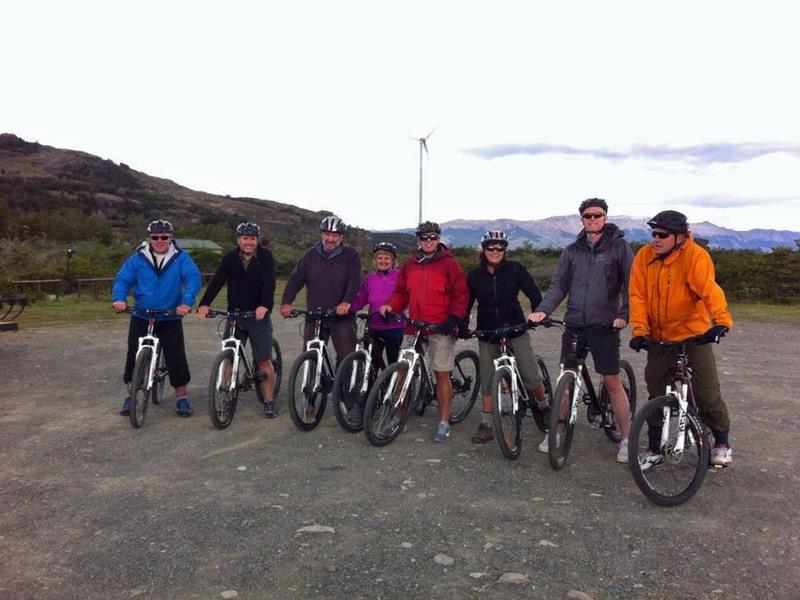 We will enjoy this special moment taking photos of this sector before heading down Grey River for around 3 hours. 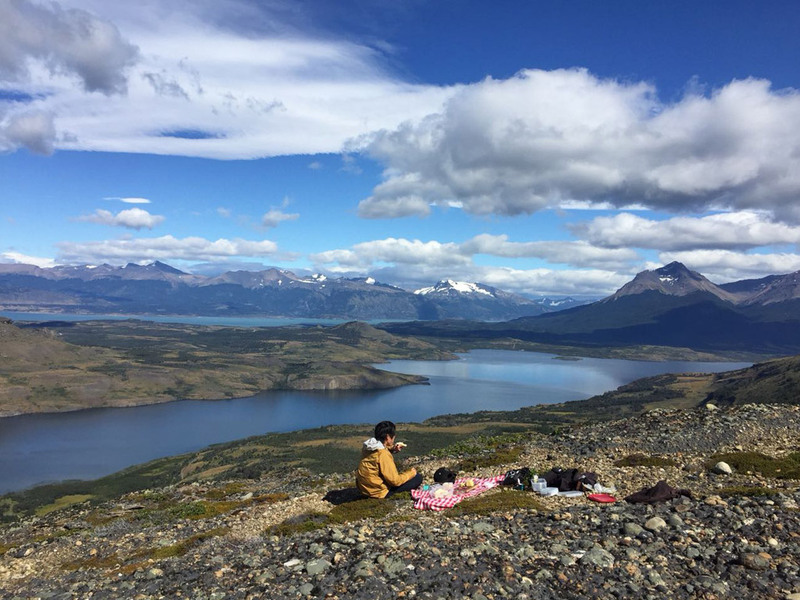 We will make a stop at the Grey Bridge so as to share out the packed lunches before continuing on to our base at Nash Lodge and then heading back to Puerto Natales.